COGG have made an arrangement with 4Schools.ie and the Examcraft Group to ensure provision of the past papers. 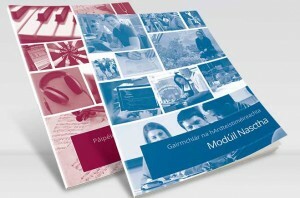 Examcraft provides hard copy Irish language mock exam papers each year for the mock exams. Irish Language mock exam papers can be downloaded from this website. You will need to contact COGG on an annual basis to acquire password for the download page which is linked below. 4schools.ie provides hard copy booklets of past state exam papers. Each year these booklets are updated with the previous year’s state exam papers and made available in September. Supplies are limited and where possible 4Schools.ie ask schools to submit their orders before the summer. Copies of the state exam papers can be ordered through the school, on line or call 01-8081494. All previous state exam papers are made available for free digital download from the State Exam Commission Website.